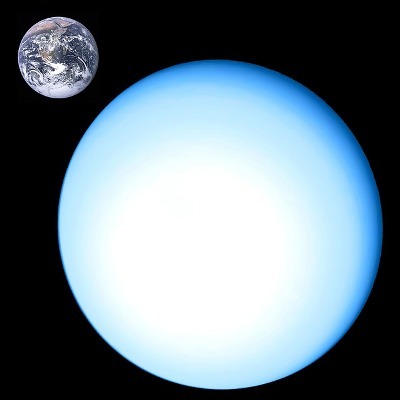 14 Interesting Facts About Uranus Planet | OhFact! 1. God of the Sky! 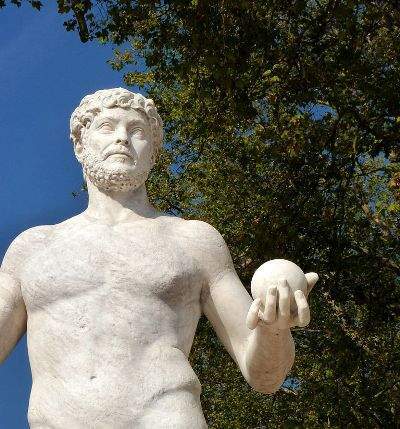 Uranus is named after Ouranos who is the Greek God of the Sky and is considered to be the earliest lords of heavens. It was named by the German astronomer, Johann Bode. The beautiful blue color of Uranus is due to a large amount of Methane gas present in Uranus’s atmosphere. Methane has a unique property of absorbing red light and scattering away blue light. That’s why Uranus looks greenish–blue. 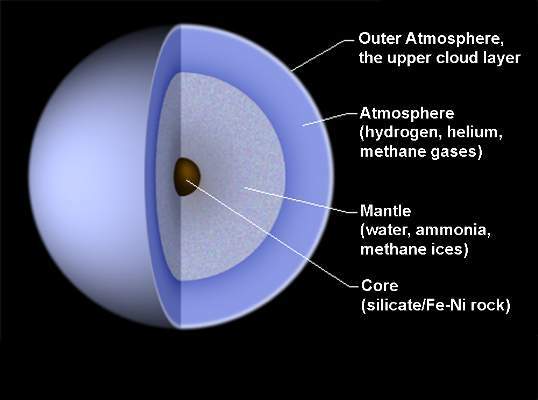 Uranus is hidden under the blue cover of Hydrogen and Methane gas. But scientists have guessed that miles inside are a rocky core, which is covered by an ocean of Water, Methane, and Ammonia. 4. Uranus rolls on its side! 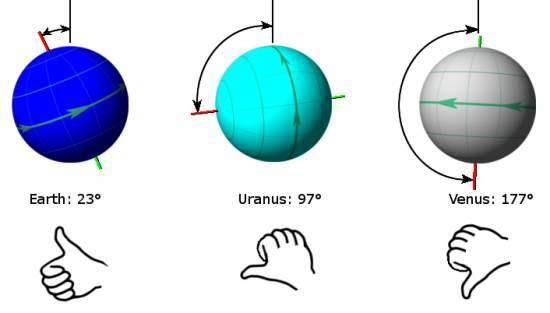 While other planets are a bit tilted on their axes, Uranus has a large axial tilt of 97/98 degrees. Hence it looks as if it has tipped over and is rolling on its side. While revolving around the Sun, Uranus is described as ‘rolling around the Sun on its side.’ Guess who drank and tripped over? 5. A long Journey Around the Sun! One rotation of Uranus about its axis takes 17.9 Earth hours, and one complete revolution of Uranus around the Sun takes 84 Earth years. 6. A Unique Combination of Day & Night! Because of its unique tilt, each pole of Uranus gets around 42 years of continuous sunlight, followed by 42 years of darkness. So, if you want to spend the rest of your life in darkness/brightness, Uranus is your address. Just like Earth, Uranus has four seasons. But these seasons are far different from what we experience on Earth. One season on Uranus lasts for 21 Earth years. 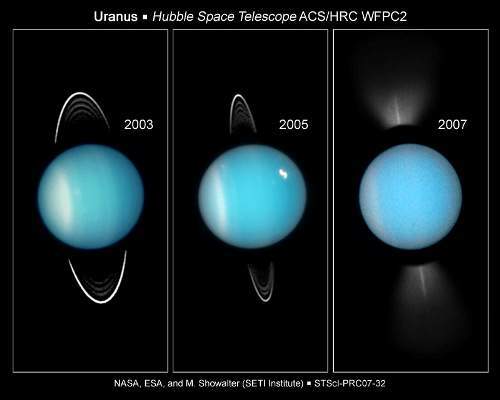 Due to Uranus’s unusual tilt, one pole sees the Sun and experiences summer for 21 long years. But the opposite pole doesn’t see the Sun and experiences cold, dark winter for 21 long years. 8. First Planet discovered by a telescope! With naked eyes, you can see up to planet Saturn. Uranus is not visible from Earth with the naked eye, and hence it was the first planet to be discovered through a telescope. 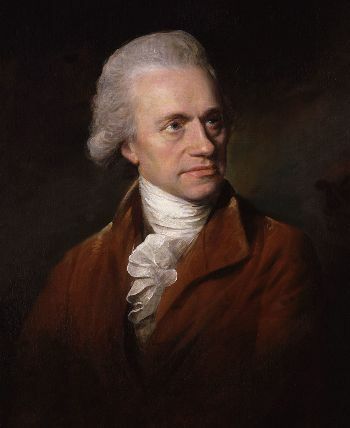 Uranus was discovered by William Herschel in 1781. 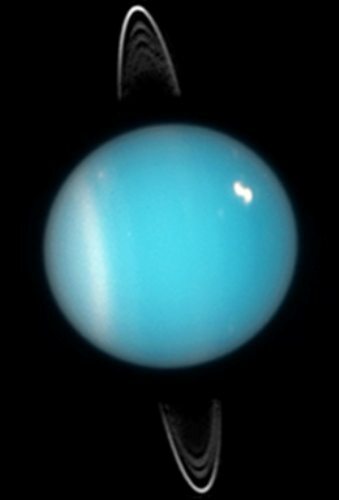 Uranus is nicknamed as the “ice giant.” Uranus gained this name as it is chiefly composed of heavier volatile substance like Ammonia and Hydrogen Sulfide. These volatile substances along with water vapor create an icy cloud over Uranus due to which Uranus appears to have the pale blue color. Just like Saturn, Uranus also has rings. These rings were discovered in the year 1977. 13 rings of Uranus had been discovered to date. Uranus is the coldest planet in the solar system because the minimum temperature on this planet reaches – 224 degree Celsius. Uranus gives off less heat than the heat it absorbs from the Sun. However, it is still a mystery why Uranus is so cold! 12. 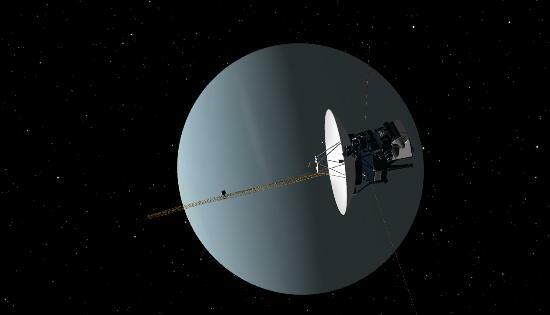 Only one spacecraft has approached Uranus! In January 1986 NASA’s Voyager 2 came at a distance of 81,000 km to the surface of Uranus. The near the surface pictures of Uranus that we have today is due to the photos were taken by this spacecraft. No other spacecraft had ever come close to Uranus. 13. Winds on Uranus has the speed of over 500 miles per hour! Massive storms occur in the atmosphere of Uranus. Some storms on Uranus can occur as large as the size of a continent. The winds in these storms can exceed the speed of 500 miles per hour. There are 27 moons of Uranus. 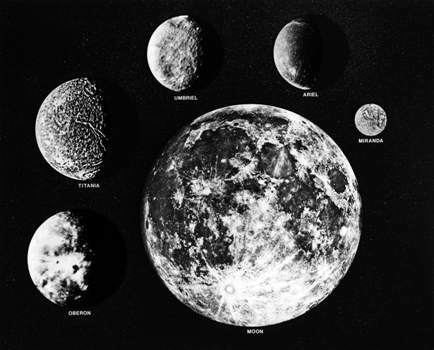 Among them, 5 moons are considerably larger. These 5 moons are Miranda, Umbriel, Ariel, Oberon, and Titania. All these names are taken from characters of Shakespeare and Alexander Pope’s plays and poems.